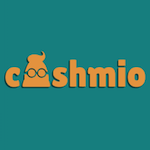 Claim a great Welcome Package at Cashmio casino! 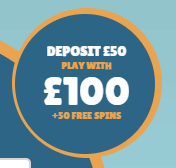 Create an account and make your first deposit of at least £20 to get a generous offer. Deposit at least £50 and you’ll get to play with £100 lots of exquisite games! Moreover, you’ll get 50 Spins to test your skills level. Winnings from spins have a 45-time wagering requirement. The bonus from the match deal will need to be wagered 25 times in order for you to be able to withdraw any funds. Deposits made via Neteller, PaySafeCard or Skrill will not qualify for this promotion.